To put your hope in power over others is to misunderstand the Christian story. 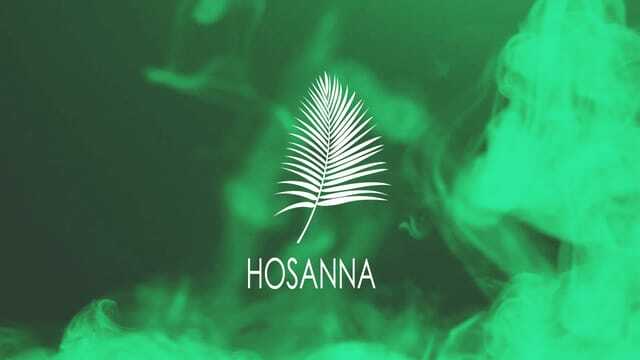 When we say "Hosanna! ", we can only shout it at Caesar or Jesus. But never both. On Easter Sunday, we are expecting additional guests to attend our services and desire to have additional people to serve in the Guest Services and Children's Ministries and make sure that a guest's experience at Greenville Oaks is a positive one and to help our special Children's Easter Experience run smoothly. Easter is a story about how Jesus broke out of the ultimate attempt to control who God is. But like He has always done, God refused to be defined by man, even man's attempt to control His son, Jesus. with death. We invite you to come and celebrate that event with us at Greenville Oaks on Easter Sunday as we worship Jesus and celebrate his resurrection. We invite you and your children to come and celebrate with us at Greenville Oaks on Easter Sunday as we worship Jesus and celebrate his resurrection. Our elementary children will journey through Jesus’ last days on earth and will follow His footsteps in a multi-sensory adventure that leads to the miraculous resurrection and celebration that Jesus is alive! Our preschool children will experience the excitement of a parade for Jesus followed by a petting zoo of baby animals just their size. Can you remember the last time you were desperate enough to cry out for help or saving? Parousia = "arrival" or "coming"